September 6, 2011 (San Diego) – Nile Sisters, a City Heights-based nonprofit organization specializing n helping African refugee women and their families, invites the public to the 2011 Nile Sisters Banquet. The event celebrates the organization’s ten year anniversary of serving African women in San Diego. The banquet will be held on Saturday, September 17 from 11 a.m. to 1 p.m. at 7715 Draper Avenue. Tickets cost $25. Nile Sisters Development Initiative is a nonprofit 501 (c) (3), founded in 2001 byElizabeth Lou, a refugee from South Sudan. Lou—being intimately acquainted with the challenges African refugees face as new entrants to the United States—began the organization to help other refugee women, and their families, acculturate and assimilate to the new language, culture, and set of systems that is inherent to the American way of life. Nile Sisters provides a variety of services and programs to assist new African refugees, including counseling, English language tutorials, cultural orientation, material support, prenatal education, and classes for children. The organization’s mission is to help African refugee women and their families become socially and economically self-reliant through counseling, education, training, and support. 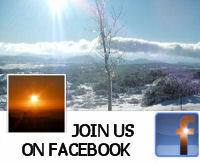 The vision is to establish a well-integrated, productive, and vital African refugee community in San Diego County. Nile Sisters Development Initiative is located at 6035 University Avenue, Suite #22, San Diego, CA 92115. 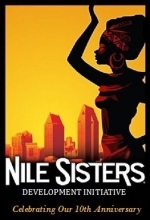 For more information on Nile Sisters, or to reserve tickets, call (619) 265-2959 or visit www.NileSisters.org.